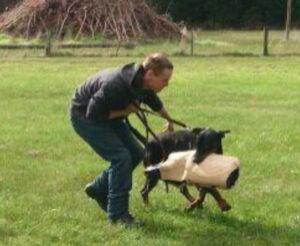 Prada Dobermann Breeder is located in Little River, just outside of Melbourne in Victoria Australia. 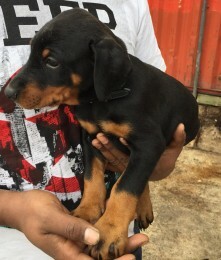 Prada Dobermanns is passionate about Dobermans and do what we love: breeding Dobermans to provide families with excellent character Purebred Doberman puppies that are bound to be a successful family member. 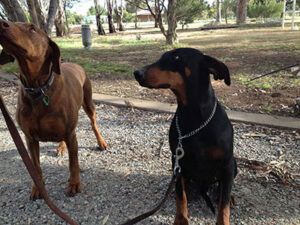 Prada Dobermanns has a lot of experience in breeding dobermans in Australia. We moved to breeding FULL EUROPEAN WORKING LINE DOBERMANS. 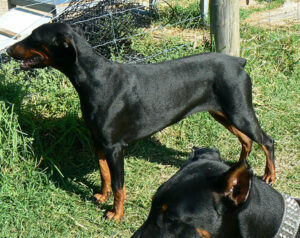 The success of our careful breeding selection is demonstrated in the Doberman puppies we have available. Our Dobermans are excellent family dogs. Dobermans are wonderful Companions, guard and working dogs. 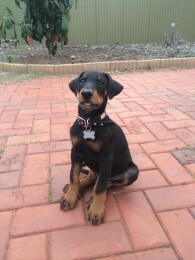 Our purebred doberman puppies have gone on to be wonderful companions, security and guard dogs for families all over Australia. The Doberman pups we breed have exceptional qualities and are high in demand. On occasion we do export Doberman puppies overseas. Please do contact us with enquiries from abroad. 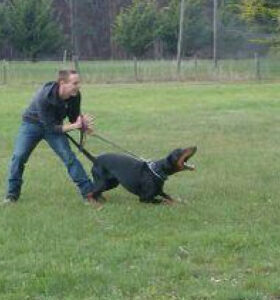 Prada Doberman breeder is a registered member of Dogs Victoria. 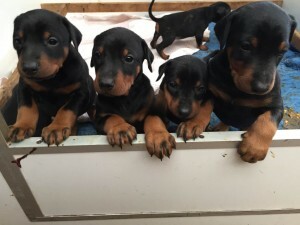 Are you ready to be a owner of a Purebred Doberman Puppy? We DO screen prospective owners. We put a lot of effort and passion into our doberman breeding program and need to ensure whomever buy a doberman puppy share the same appreciation for this extraordinary breed. We want to know that your decision to adopt a purebred puppy was well researched and not an impulsive decision. WQe DO follow up on our pups and offer start out guidance on how to care for your newly adopted doberman pup. Nutrition is vital to Prada’s Doberman breeding program, we feed a holistic raw-diet. 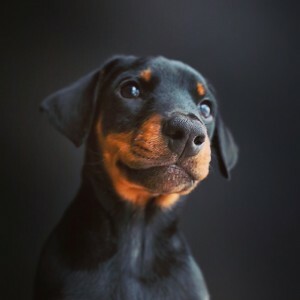 To ensure our adopted purebred Doberman puppies continue their high standard of care we offer guidance on feeding and answer any health questions that you might have. For further information please contact us and we will answer your questions as soon as possible.